Note: the website for the Principles of Concurrent Programming course given in study period 3 (2017) is available at this URL. 2018-01-17: The exam review (tentagranskning) for the re-exams will be held on Wednesday 24th of January, 12:00-13:15 in EDIT 6128. 2017-12-22: A copy of Tuesday’s TDA383/DIT390 re-exam can be downloaded here, with suggested sketch solutions here. Similarly, the TDA384/DIT391 re-exam can be downloaded here, with soulutions here. Note that these solutions may be updated after grading of the exam is complete. 2017-12-04: The exams on 19 Dec 2017, for both TDA383 AND TDA384, will use the same coding style as the recent TDA384 exam held 28 October 2017. That is, all questions will use a Java-like syntax, except those dealing with message passing, which will use an Erlang-like syntax. In your answers, you should be precise, but there is some flexibility in the syntax of the programming notation you use. If you can, use the same syntax and style used in the questions, but you can also use pseudo-code. Whatever notation you use, your intention must be clear. If necessary, explain your notation. 2017-11-10: The exam review (tentagranskning) will be held on Tuesday 14th November, 12:00-13:30 in EDIT 3364. 2017-10-30: A copy of Saturday’s exam with suggested sketch solutions can be downloaded here. Note that these solutions may be updated after grading of the exam is complete. 2017-10-16: The exam will take place on 28 October 2017 08:30-12:30. This exam will reflect the content of the lectures, and has been prepared jointly by Prasad and Carlo (hence, their recent exams for TDA383/DIT390 give a good idea of this exam’s style and kinds of questions). 2017-10-16: There is no class on Friday, 20th October (today was the last class). 2017-10-13: Remember that questions about course content should be posted to the PingPong forum, not via email to us personally. This is for the benefit of your fellow students. 2017-10-12: Prasad will be away on leave until 23 October. 2017-10-12: The doodle to sign up for A-mazed demos is available here, please sign up as soon as possible. The doodle will be closed on 17 October 2017. Write the re-sit exam for TDA383/DIT390 in December. Do the current Lab 3 of TDA384/DIT391 (GET STARTED! ), and write the TDA384/DIT391 exam in October. In either case, first register accordingly with studentcentrum / CSE Student Office. 2017-10-02: [URGENT] For students from TDA381/TDA382/TDA383 or DTI390. If you are signed up for the exam in October, please note that it is ONLY for TDA384/DIT391. For the October exam to complement your lab work, and give you a pass on the course, you need the full set of TDA384/DIT391 labs. So please start on the new lab 3 (Amazed), and contact us about your earlier labs, if you have not done so yet. 2017-09-19: The second meeting with your class representatives will be on Friday 22 Sep at 5pm. Please contact any representative (list of student representatives) and pass on your suggestions and comments. We need to know both what is working and what is not. 2017-09-06: The first meeting with your class representatives will be on Friday 8 Sep at 5pm. Please contact any representative (list of student representatives) and pass on your suggestions and comments. We need to know both what is working and what is not. 2017-08-30: Accessing PingPong requires begin registered in the course TDA384 or DIT391. Moreover, you must use your Chalmers CID. GU accounts cannot be used to enter the PingPong. 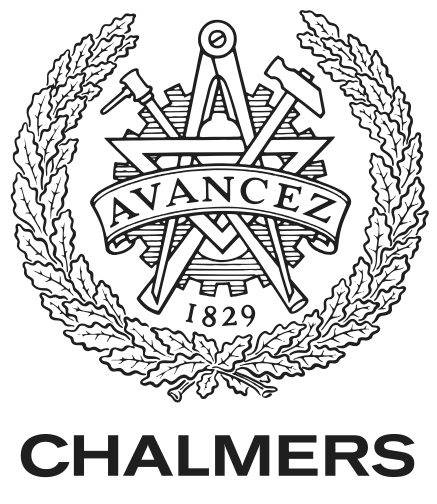 2017-08-25: The Chalmers’ Vice president for undergraduate and master’s education has announced that it is now obligatory to register for exams. Students who do not register will not be able to take the exam even if there are free places. 2017-08-23: The first session is not for the labs. It is a tutorial introduction to concurrent programming, running Promela examples. In the tutorial we will use the SPIN web interface together with our Promela Tutorial. The tutorial is not compulsory, but you are strongly urged to attend. We will survey some of the ideas that we will use throughout the course. 2017-08-23: The SPIN web interface is available in the Exercises section. 2017-06-10: The website is live! Please note that all the information is still tentative and subject to change. This website, which is the primary source of information about the course. The discussion forum in PingPong (under Communication → Discussion), where you can ask questions about the course in a way that is visible to the other students and to the instructors. Note that we do not use functionalities of PingPong other than the discussion forum; sharing solutions of labs is forbidden — in PingPong as anywhere else. The Fire system, where you can upload submissions to the labs. See the information in the student portal. See the general information in TimeEdit. The detailed schedule of lectures and lab sessions will be available on their respective pages as the course progresses.